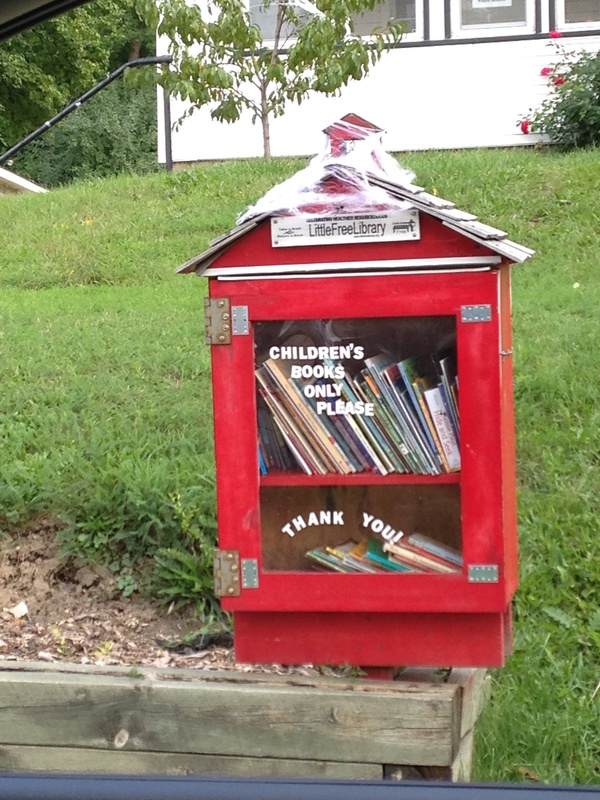 This “schoolhouse” mini-library asks that people leave only children’s books for others to borrow. Right now the library box is decorated for Halloween, so you can’t see it very well beneath the cottony spider webbing—but there’s a school bell up in the tiny belfry up on the roof. Very adorable! This entry was posted in Books and reading, Little Free Library, Milwaukee, Photography and tagged children's books, Halloween decorations, Little Free Library, Milwaukee, Mini-library, Schoolhouse book box. Bookmark the permalink. I love those little boxes!